This week the Justices will be busying themselves with a case consisting of the heady combination of Star Wars, stormtroopers’ protective millinery, clay modelling and international copyright enforcement. These people know how to live. 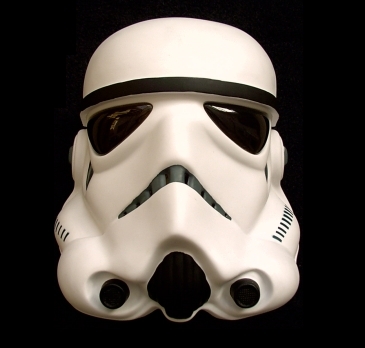 In making the first Star Wars film, a series of paintings and drawings were created, as well as a clay model, variously depicting the now-iconic stormtrooper helmets. 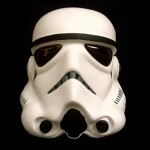 Andrew Ainsworth, the first respondent, was engaged to produce a final version of the helmet out of plastics. This he did, making modifications on his own initiative to improve the design, and he admits that he later made and sold copies of the helmet to a variety of customers. All of this “sculpture” business is important, because if the helmet is not a sculpture, then copyright does not subsist in the model, nor in designs/drawings for it on application of the defence in s 51 of the 1988 Act. That defence was enshrined, as Jacob LJ notes, to stop “a manufacturer whose product would not qualify for copyright protection . . . [from being] able to control the market through the artistic copyright in any drawings of the design.” The Court of Appeal upheld Mann J’s finding that a s 51 defence was available to Ainsworth, as was the similar defence in s 52 of the same Act. Of potentially further-reaching consequence is the determination of the second issue before the supreme court: is a claim for infringement of a US copyright justiciable, and indeed enforceable, by an English court? 3. in the absence of compulsory jurisdiction, there remains a discretion to accept that the English court is the forum conveniens, which they should in this case do. On #1, it was held by the Court of Appeal that the result of that decision was not to confer extra-EU jurisdiction, but merely to uphold judicial co-operation between European member states’ courts. Similarly, it was held (#2) that Pearce was not authority for justiciability of infringements of extra-EU copyrights. The Court of Appeal, in the absence of authority, was therefore left to make a finding on this justiciability question based on policy. For seven such reasons (see Jacob LJ at  —) non-EU foreign copyright infringement claims were held to be non-justiciable in English courts. Mann J’s enforcement of the US copyright was therefore reversed. The appeal before their Lordships this week addresses both these issues: the nature and extent of copyright in three-dimensional objects; and the justiciability of a claim for infringement of a US copyright. On the latter question, particularly, Jacob LJ was vehement: “if [such jurisdiction] is ever to be created it should be by Treaty with all the necessary rules about mutual recognition, lis pendens and so on. It is not for judges to arrogate to themselves such a jurisdiction.” It remains to be seen whether It remains to be seen whether the Supreme Court will agree, but the potential consequences of their decision are evidently extensive. Dr. Stuart Baran is a BPTC student at BPP Law School. He is the chairman of the Oxford International Intellectual Property Moot. Leave a reply on "Case Preview: Lucasfilm & Ors v Ainsworth & Anor"